UPSSSC has uploaded Revised Final Answer Keys for VDO/ Gram Panchayat Adhikari Exam which was conducted on 22, 23 December 2018. Download UP VDO Final Answer Keys from link given below…. Expected Cut Off Marks for UPSSSC VDO Exam 2018 is available Now. Check Category wise UP VDO Cut Off 2018 below….. Some Stats about Exam : UPSSSC VDO/ Gram Panchayat Adhikari Exam was conducted for 1953 Posts. 14.33 Lacs Aspirants has applied for these Gram Panchayat Adhikari/ Gram Vikas Adhikari Posts. Exam was conducted at 16 Districts in State. Exam was conducted in two shifts at 572 Centres. Written Exam conducted on 22, 23 December 2018 all over UP State. Information regarding UP VDO Result 2018 for Gram Panchayat Adhikari, Social Welfare Supervisor is provided below…. UPSSSC will announce Written Exam Result of VDO/ Gram Panchayat Adhikari Exam 2018. Result will announce based on Marks of Written Exam. As well as UPSSSC will also upload List of Successful Candidates for Document Verification. Candidates will be able to check Result displayed on official website of UPSSSC (http://upsssc.gov.in/). Candidates will be able to check Roll No. wise Select List from upsssc web portal. About UPSSSC VDO/ Gram Vikas Adhikari Written Exam: Exam was conducted under Offline Mode on OMR Sheets.There were 150 Questions in Exam comprising of 300 Marks. There was Negative Marking of 0.50 Marks in UP VDO Exam 2018. Time Duration of Exam was 2 Hours (120 Minutes). Written Exam was of Intermediate Level. UPSSSC VDO cut off Marks will be decided from 300 Marks. Selection will be based on Written Test. UPSSSC VDO/ Gram Panchayat Adhikari Exam After Result Process : Selection to the Village Development Officer will be based on Written Exam & Document Verification. Final Selection will be based on merit of Written Exam. UPSSSC will conduct Written Exam First to Shortlist candidates for Next Process. List of Qualified Candidates for Written Exam will be available on Official Website. Shortlisted Candidates will call for Document Verification & Medical Test. 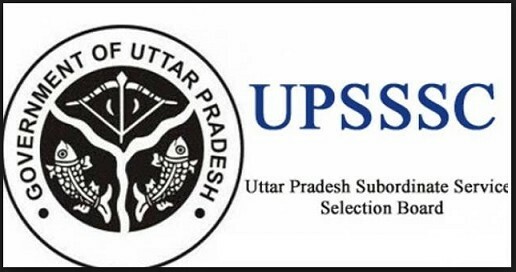 NOTE : Selection to above mentioned Posts based on preference will be done by UPSSSC. But after allotment, it will not change. 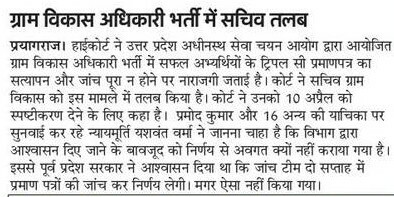 Allottment done by UPSSSC will be Final. Search Link for Result of the exam Held on 22 & 23/12/2018 under the advertisement number-02-Exam/2018 Sammilit Gram Panchyat Adhikari, Gram Vikas Adhikari and Samaj Kalyan Prayvekshak (Samanya Chayan) Pratiyogitatmak Pariksha 2018. Candidates can download .pdf file of up vdo result 2018 & check their result status. Candidates will also able to check their Marks by Using their User ID & Password. Aspirants need to have a regular watch on UPSSSC Website for upsssc vdo result 2018. Latest News Updates will also available on www.govtexamalert.com. So Bookmark this Page (Press CTRL+D) & get regular UPSSSC Recruitment, Exam News, result Updates. vdo result ki confirm date nahi hai Kya ? result may announce next month.